I am so ready for fall. Summer is nice, but I am longing for the cool and crisp weather that autumn brings. Also on my radar for fall is the beauty lineup that I always look forward to. Deep and sultrier hues, galore! My September Julep Maven box (I went with the bombshell option this month) came in recently, and it contained lovely products that will have me fall ready in no time. Rachel: I was really intrigued by this beautiful graphite shimmer. It's edgy, fun, and I don't think I have anything like it. Metallic shimmered finishes like this one do tend to show streak marks, and Rachel is no different. But, it is a cool color, and I will be sporting it frequently during the autumn and winter season. Cassandra: This deep cabernet crème is nothing many of us haven't seen before. Although I probably have extremely similar nail colors to this one in my collection, it is a hue that I tend to reach for often. It's sort of like a classic which never fails, since it's a color that is so easy to wear. The formula on Cassandra was nice. Two coats resulted in opaque and even coverage. 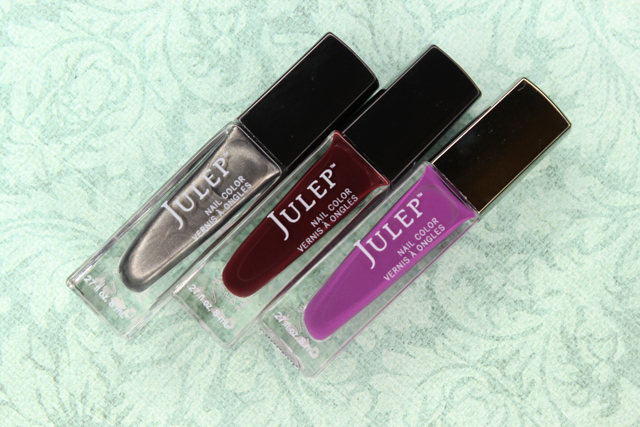 Julep: This nail color is Julep's signature crème, and it was included in all of the September maven boxes (courtesy of Julep). It's a lovely color with an exceptional formula. Smooth, opaque, and even. 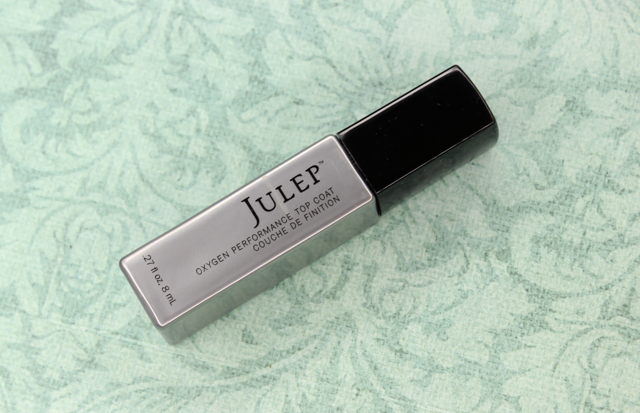 Light On Your Lips Full-Coverage Crème Lipstick: I was initially introduced to one of Julep's light on your lips lipsticks back in March, and I was pretty impressed. Strut is one of seven newly launched colors, and it's a plum nectar creme that is right up my alley. It's pigmented, flattering, and long lasting. 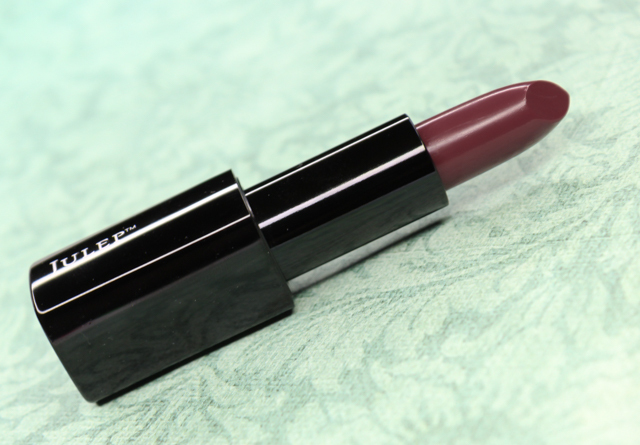 The formula feels comfortable on the lips, and the lipstick easily glides on without tugging. Oxygen Performance Top Coat: I was in dire need of a new top coat, so with my accumulated Jules rewards points I added on this one. It adds a lovely shine to the nails, and it dries super fast. Loving it so far! If you want to sign up for your own monthly Julep Maven subscription, you can do so, here. What did you all receive in your September Julep Maven boxes? Disclaimer: I purchased a monthly Julep Maven subscription. This post contains referral links. For more information, please visit my disclosure page.